When you have the means, traveling in luxury is more than a convenience. It is an essential that focuses and centers you. 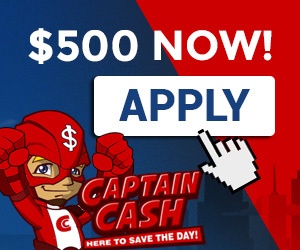 It allows you to perform better on the job and in every other aspect life. 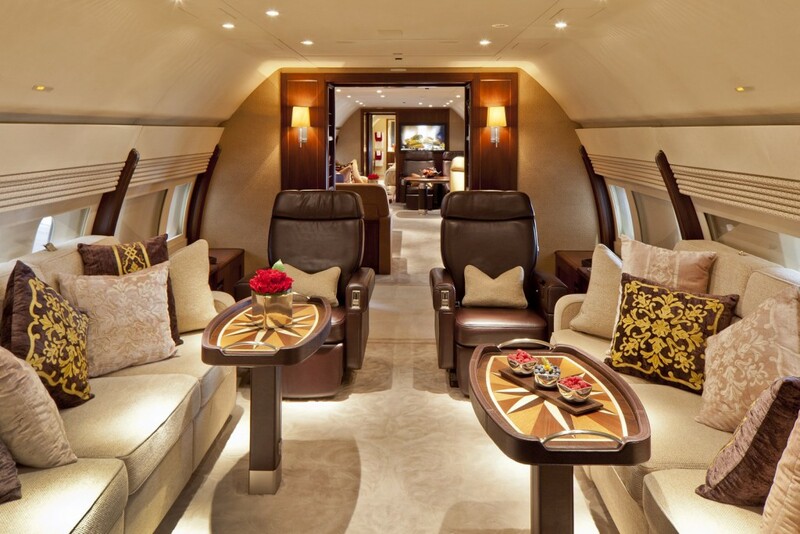 Below is a review of the ten best Private Jets and Yachts (five apiece) that currently exist. Each of these luxury items will highlight one of nine exemplary elements: speed (used twice), amenities. convenience, style, speed, size, luxury, comfort, utility, and entertainment. This speedy plane seats 19 passengers, and is just over a mere 66 feet long. Counterpoint to its simple coloring and silhouette is its sleek, pragmatic design. Because of this and its three Honeywell TFE731-5BR-1C turbofan jet engines, it is able to reach speeds of just over 590 miles per hour (or mach .87). Designed in 1984, this model has been a mainstay in private flying, commercial airlines, military, and government service in Belgium, France, and the Middle East. Costing a staggering $800 million, the Eclipse is full of superlatives. It is 528 feet long with over 30 separate rooms (24 for guests alone). 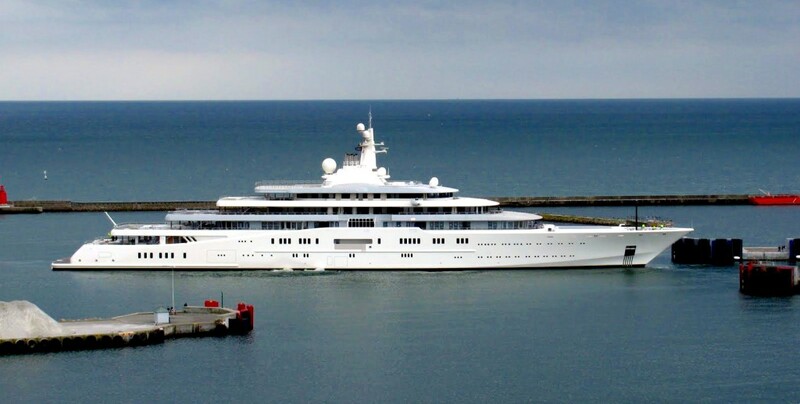 It takes a village to operate this mega-yacht. 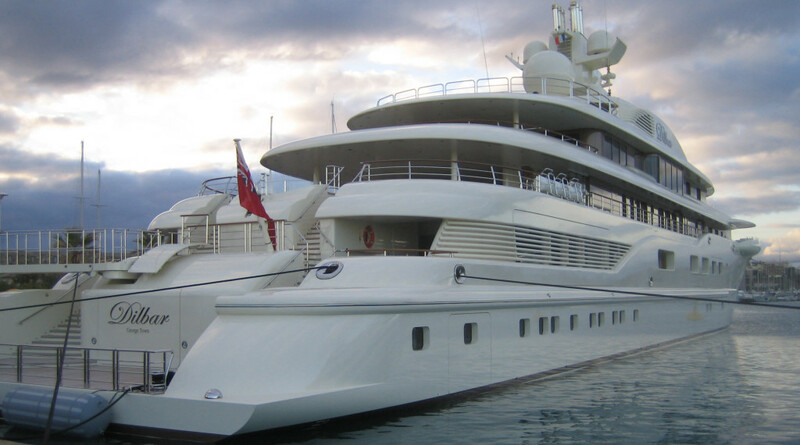 A crew of 70 staffs the various areas of the boat, which include two helipads, a disco, a bar, two swimming pools. and a private submarine! It also comes with its own defense system, including a sophisticated intruder alarm and a laser shield to scan and disrupt the paparazzi’s cameras (or those of other onlookers). The Legacy 600, first manufactured in 2001, is a slightly newer plane than the Falcon. With over 230 in service, it is a fast, convenient form of travel for both commercial and private fliers. 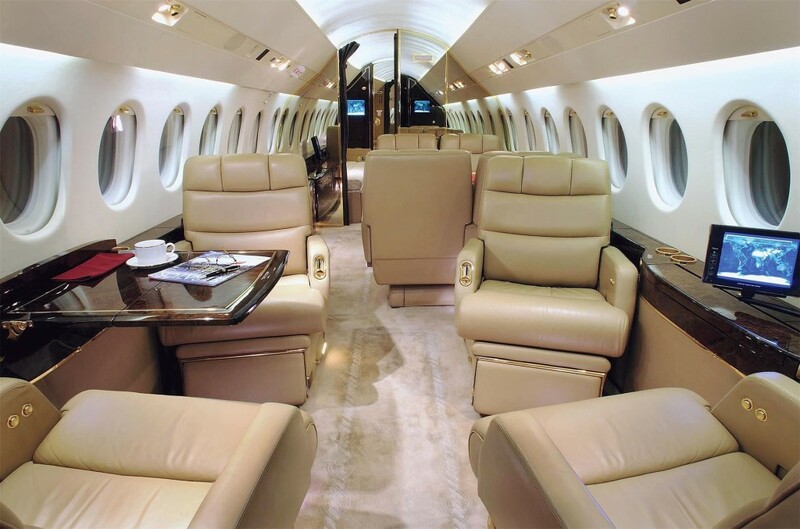 The jet, which comes in 13- and 8-passenger versions, has a top cruising altitude of 41,000 feet. This great height allows this 86.5 foot plane to travel near-record distances with a minimum of turbulence. With two Rolls Royce engines and a top speed of 518 mph, the 8-passenger version can travel over 4,400 miles without having to refuel. Created by a cutting edge engineer and a world-famous naval architect, the sleek, lines of the A draw stares wherever it goes. At 390 feet, it is one of the largest yachts on Earth. Her design was inspired by both stealth ships and modern submarines, and features a reverse bow silhouette. It can accommodate between 6 and 14 guests, and requires 37 crew members. Her top speed is 24 knots (19 knots at cruising speed). The master suite features a “secret room” for romantic rendezvous. It may seem strange that a jet known for its heavy commercial use is on the list. 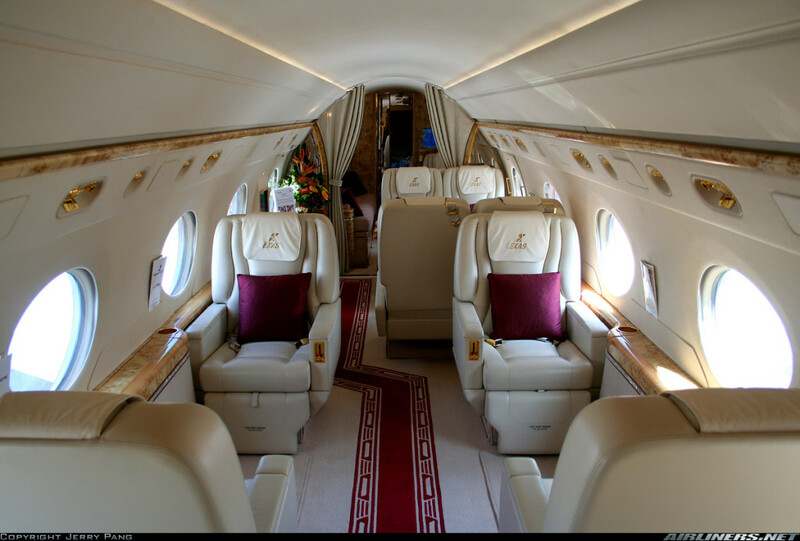 However, when retrofitted a a private jet, it is one of the most useful, versatile machines out there. It has a maximum distance of nearly 11,623 miles before it has to refuel. It has a maximum cruising altitude of over 43,000 feet, meaning it misses the vast majority of air turbulence. 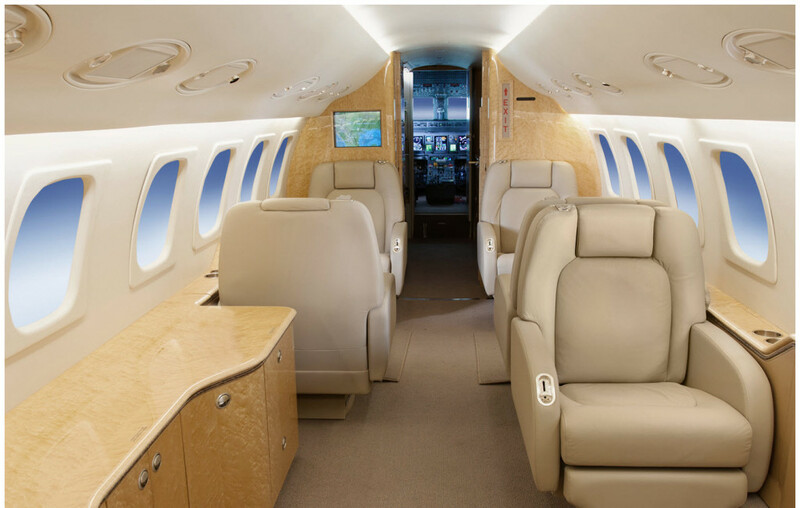 Its size allows for more passengers than other private planes, as well as office space, living quarters, a bar, and a spacious reception area. 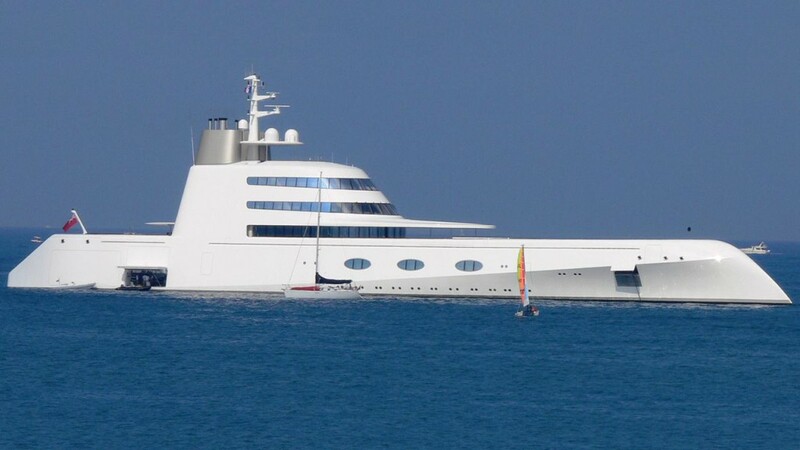 The second-largest yacht in the world is a whopping 508.5 feet long, 75.5 feet in beam (width), and features three above-deck floors. At a cruising speed of a swift 22 knots, it is also the fastest for its size. It can house 75 guests and requires a massive crew of 154. It has enormous interior entertaining and reception areas, as well as a concert hall that can accommodate a 50-piece orchestra. Of course, it also comes complete with a helipad and a swimming pool. At first, it may difficult to understand how a mass-passenger airliner is on this list. However, when modified, it is the very lap of luxury. 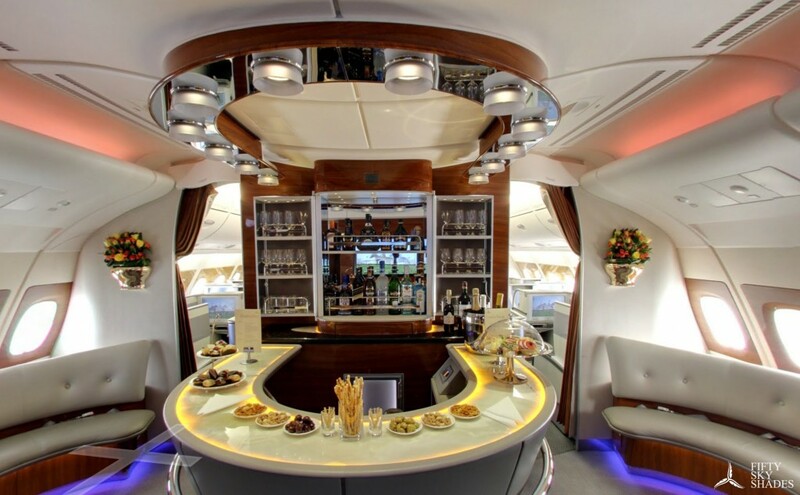 It does everything commercial A380s can do, from fast speeds and cruising heights to reduced the reduced turbulence and landing bumps that are the trademark of planes smaller than it. Retrofitted with two floors and multiple, spacious living quarters, it is the most expensive know plane on Earth at $300 million. Included in the amenities is green operation which increases gas mileage and reduces pollution. While one of the largest yachts in the world (at just under 361 feet in length), the Dilbar holds a surprisingly low number of passengers: just 16. It only employs a crew of around 20 people, which can be increased to 47 for a more doting experience. Considering its size and small occupancy, living quarters are incredibly spacious, often compared to those of luxury hotels in New York City and other great metropolises. A jet trusted for use by the Israeli Air Force must be reliably fast and safe! 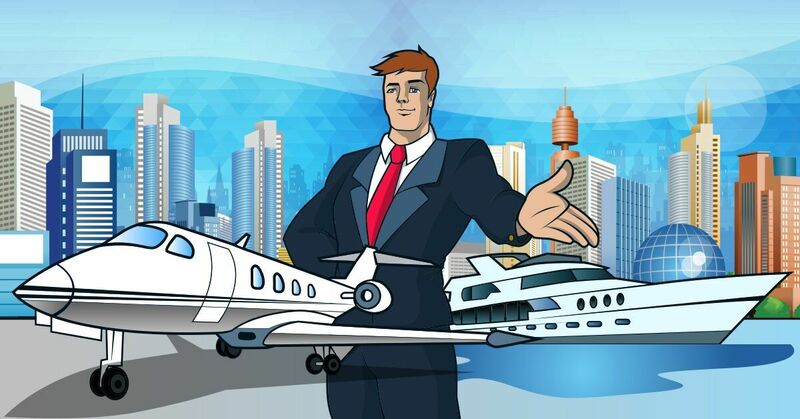 Over 40 are privately own, while 450 are currently in service by private fliers, commercial airlines, governments, and defense forces. It seats up to 18 passengers and features an infrared camera and flight interface for safe travel in inclement weather. With a top speed of 585 mph, it is one of the fastest Private Jets in the world. The combination of speed and safety make it a highly sought-after plane. This yacht is meant to entertain, pure and simple. Featuring its own movie theater, a sundeck, a pool, more than one outdoor bar, and a helipad, it was owned by the Prime Minster of Qtar and his wife. There are only 10 guest rooms, but they can be doubled over to accommodate 24 passengers. In addition to these are two VIP suites, used by the owner and either his wife or a guest of honor. 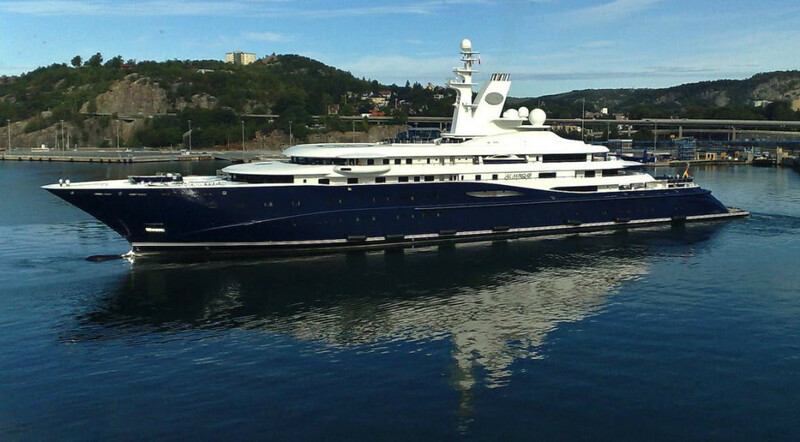 This 436 foot-long yacht has a top speed of 20.3 knots and a cruising speed of 18.7 knots.